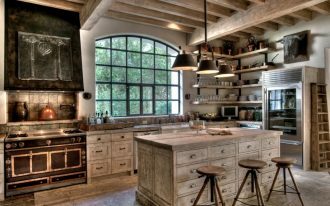 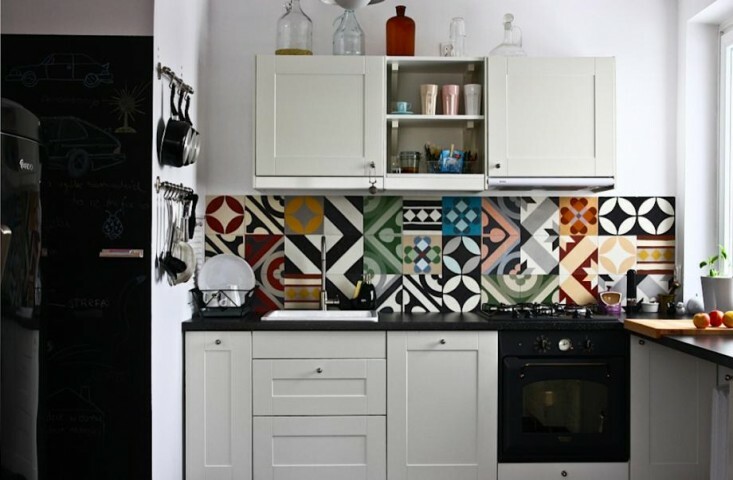 Want to know how to make your kitchen looks more dramatic and stylish? 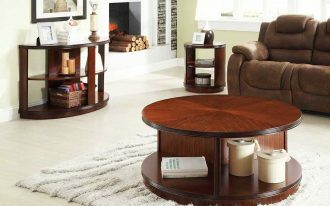 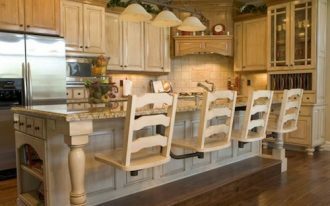 It is easy and even you can build it by yourself. 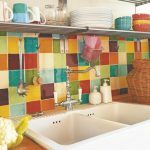 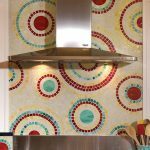 You may ask ‘how can I do that?’ and we answer: try to replace your old kitchen backsplash into colorful backsplash tiles. 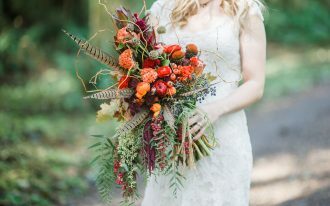 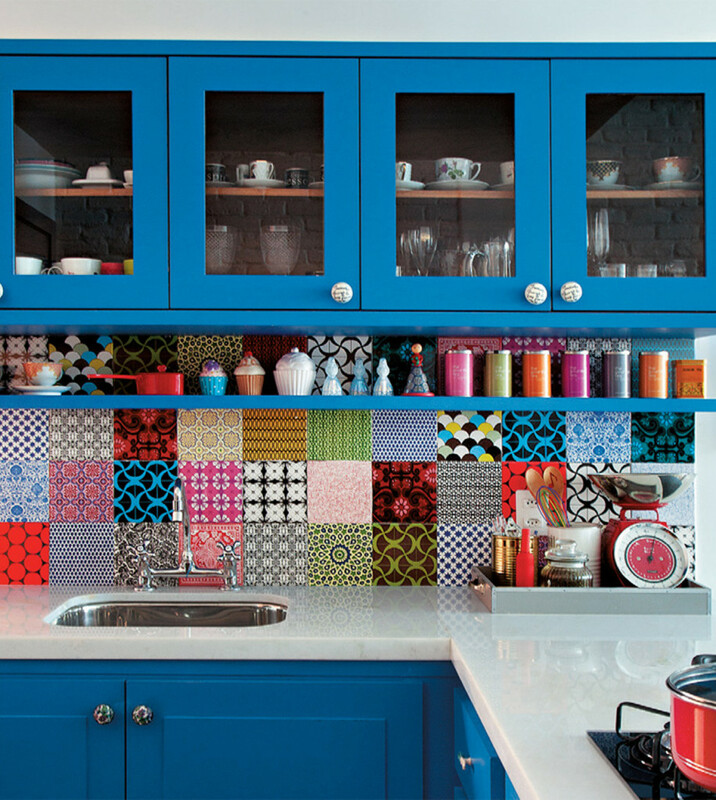 This idea really works and it is fresh way of using your favorite colors. 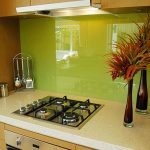 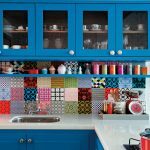 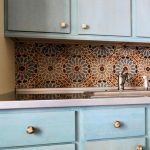 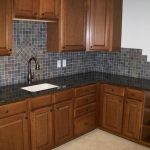 Before you start to remodel your backsplash, you can imagine and make a plan what colors and what patterns plus what materials you are going to use to make your colorful kitchen backsplash stands out. 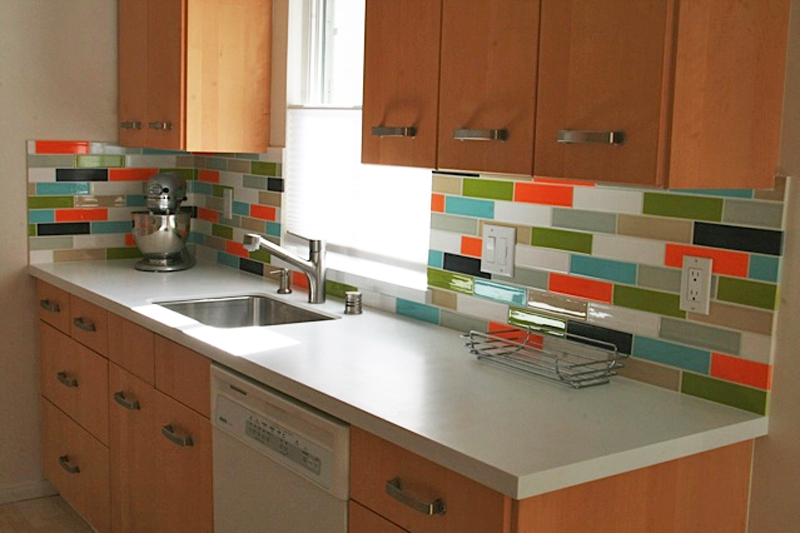 For a white kitchen, bright colored backsplash tiles are recommended because they will show a significant spot. 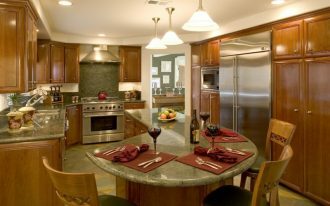 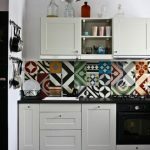 With adding colorful accents, the kitchen design will seem more attractive due to the bold tiles. 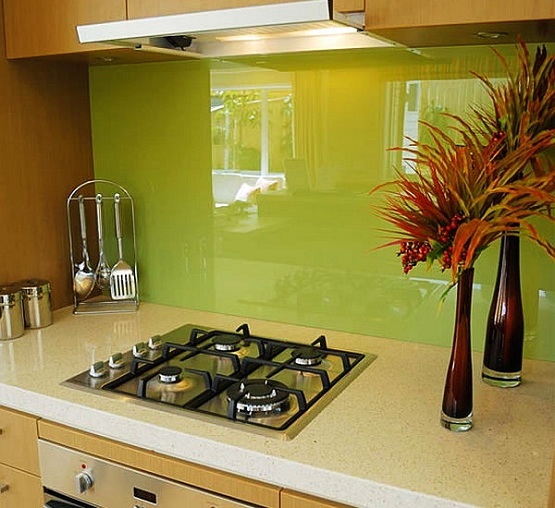 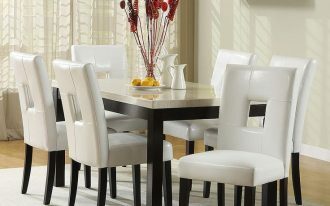 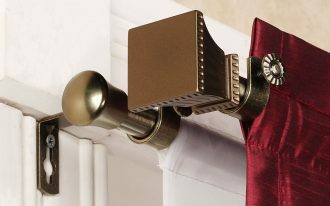 Optimize the decor by adding charming floral patterns or other gorgeous patterns on kitchen window curtains. This idea is good trick to ultimate the colorful backsplash tiles. 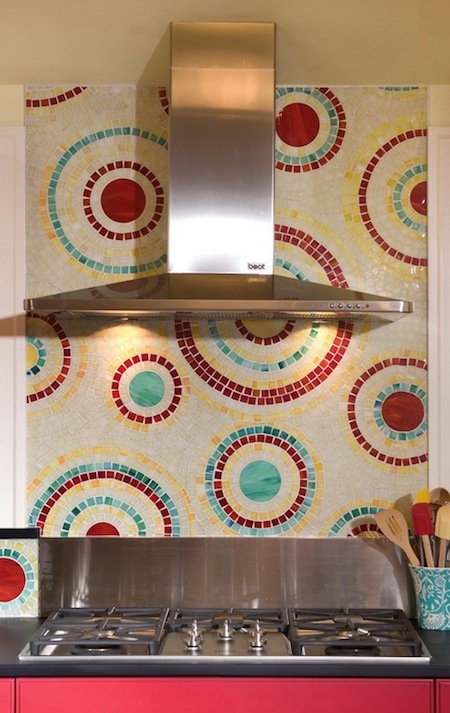 Playing with the colors and patterns are sometimes required to create cheerful backsplash. 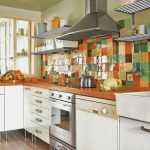 For example, yellow mosaic ceramic tiles are combined with diamond-cut patterned tiles. 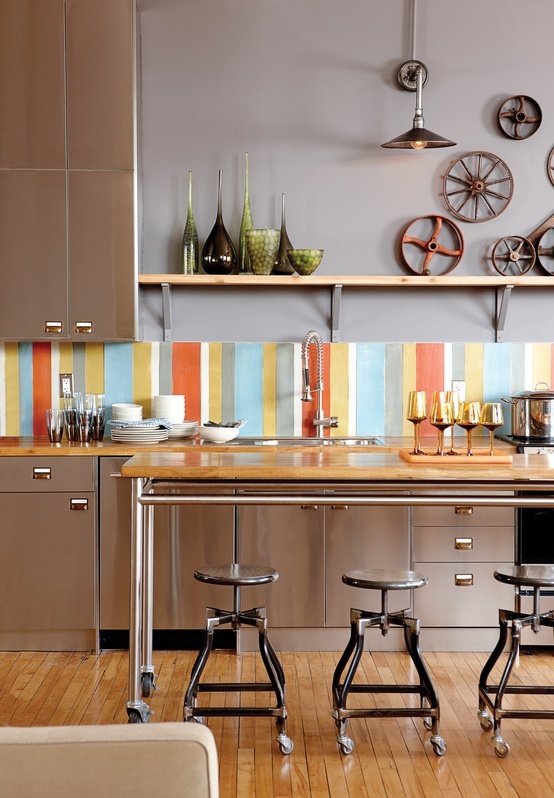 Both are applied as the kitchen backsplash. 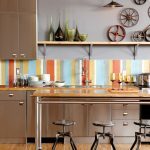 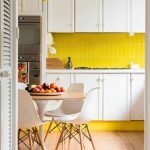 To match these colorful backsplash tiles, the base kitchen cabinetry may be painted in mustard yellow. 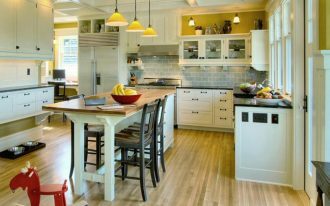 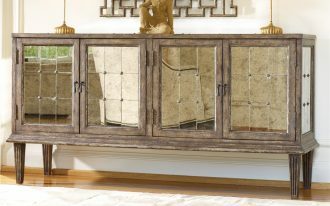 Apply white paint color for coating the upper cabinet system to create the contrast gap between the upper and base cabinetry. 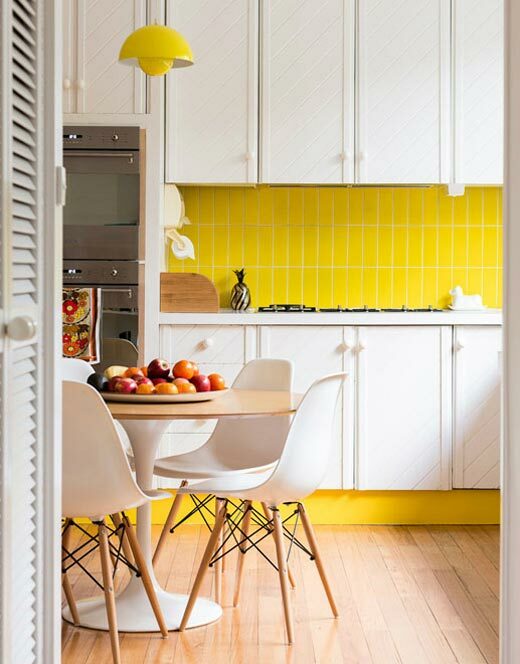 The gap will keep the striking yellow tone and empowered the color itself. 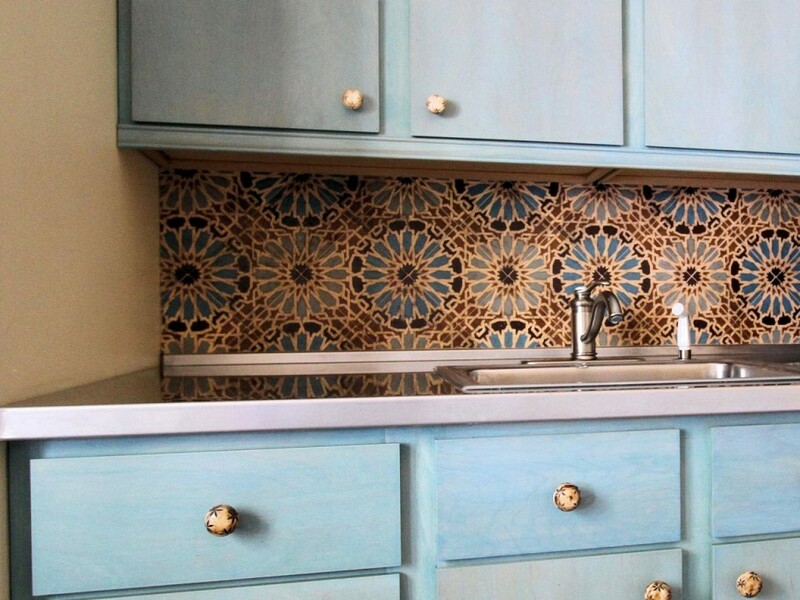 Mosaic backsplash tiles are also cool to apply for kitchen. 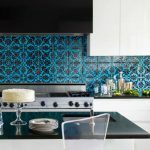 They add uniquely stylish splash kitchen backsplash. 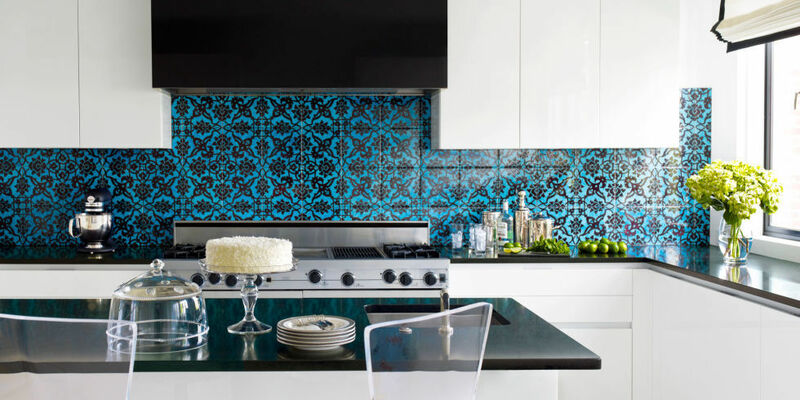 The small-size tiles add texture and their random patterns add special focal point in a kitchen. 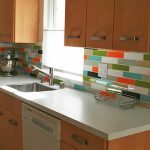 Actually there are other ideas of colorful backsplash tiles we recommend. 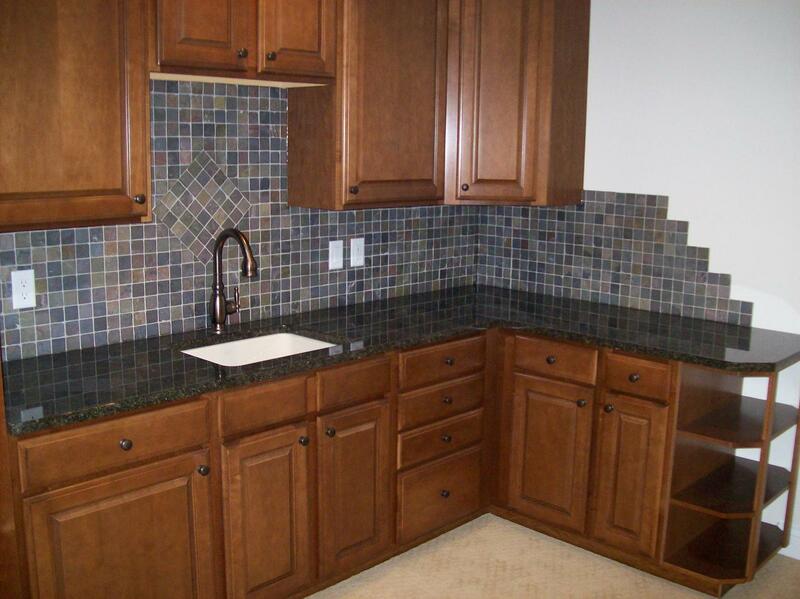 Here we share the samples of newest backsplash tiles with multiple colors.